Pictured - Left: John Cooper, aged 69 - Right: his wife, Susan, aged 63. 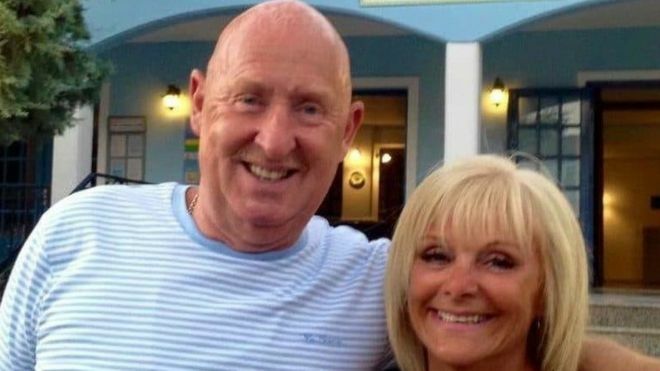 John and Susan Cooper were staying at the Steigenberger Aqua Magic hotel in Hurghada, Egypt. The Egyptian prosecutor handling the case said that the causes of both deaths were by E. Coli. According to the general prosecutor, tests shown that Mr Cooper suffered acute intestinal dysentery which was caused by E. Coli. Whilst Mrs Cooper suffered a complication linked to infection, which was caused by E. Coli. However, their daughter, Kelly Ormerod, heavily disputed their claims, calling them "absolute rubbish". She stayed in the hotel with them and claimed that both parents did not show any symptoms which are closely related to what E. Coli pose. Thomas Cook, who the Coopers travelled with said they have noted down the comments made by the general prosecutor, and will work closely and support the Cooper's daughter and the rest of their family. In addition to this investigation, a hygiene test was carried out in the Aqua Magic hotel and the results came back with very high levels of E. coli. E. Coli is short for "Escherichia Coli". E. Coli is a bacteria which appear in contaminated foods. The E. coli disease mainly is very present in humans and animals guts. According to Mayo Clinic, E. coli is mainly present in foods such as; Ground beef, Unpasteurised Milk and Fresh Foods (where produce is grown - spinach and lettuce are common with this bacteria). E. coli can spread very quickly if toxins are produced from the bacteria. They can even have an immediate effect if they produce toxins quick enough. However, it is rare that E. coli bacteria will kill - which is what happened in this case. The spread of E. coli can be rapid and have an immediate effect as it attacks internal organs, such as your liver and kidneys. They just start to shut down. Most of the time, the effect of having E. coli bacteria in your system is harmless. Sometimes, it will only cause cramps and diarrhoea. Professor Brendan Wren, from the London School of Hygiene & Tropical Medicine, said that this was a "rare case" and they were very unlucky.